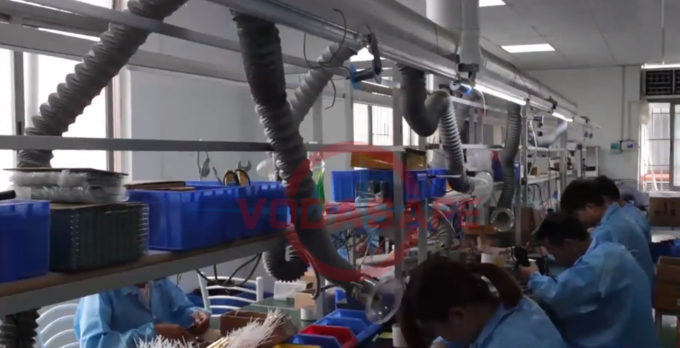 Factory Tour - ShenZhen Necom Telecommunication Technologies Co., Ltd.
Due to the wide variety of components for signal security products, the procurement plan for manual components brings great problems. With advanced equipment and advanced management, the company introduced ERP enterprise resource management software at the end of 2007. It avoids the occurrence of false procurement, over-purchasing, and leakage procurement of raw materials brought by previous manual planning, so that the use of resources is good and the delivery time is guaranteed. 3. Barcode scanning equipment is provided in each process, realizing real-time uploading of production information, accurate display of product production status, accurate statistics of product related data, reliable guarantee of product production process, and full control of the entire production process. . Since the products all use bar code management, the process flow sheet of each table is cancelled, and the paperless management of the production line is basically realized, which greatly saves the production cost and ensures that the production process of each meter is not wrong. 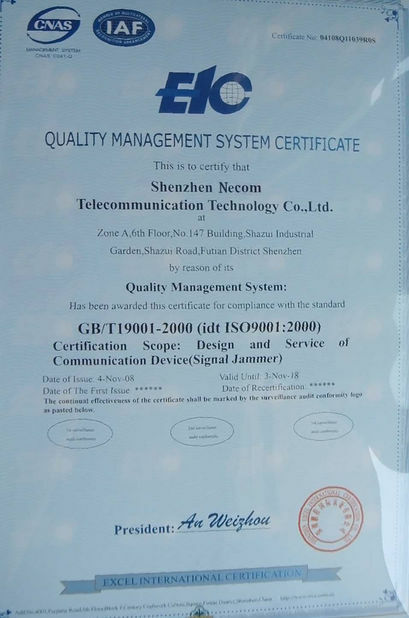 At the same time, the information management of the workshop has been closed-loop, the management efficiency has been effectively improved, the setting of some management positions has been reduced, and the production management cost has been saved for the company. We installed a large-screen electronic display on the production site. The planned quantity, the released quantity, the number of work-in-progress and the completed quantity of each customer's order can be displayed in real time, which is an auxiliary tool for production scheduling. 5. Dust-free: Due to the lead-free process adopted by the company, we found that the production environment has a great impact on product quality during the production process. The company has made corresponding changes to the entire production workshop in terms of air dust, summer heat, wetness in the rainy season, and static electricity in the winter. 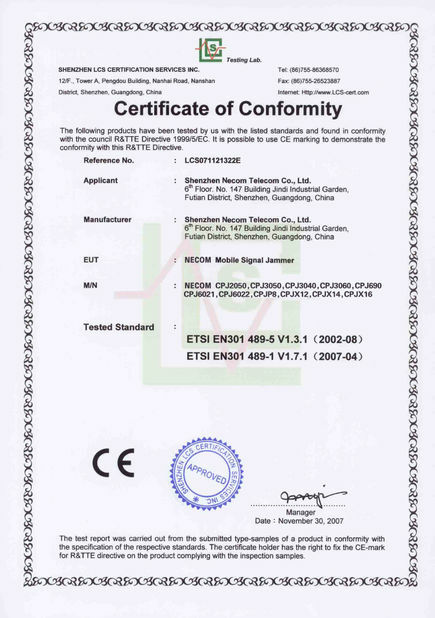 Signal Shield is an emerging new industry and belongs to the personal signal privacy protection product series. Because these products are not suitable for different types of customers, our company can provide OEM/ODM services for customers according to this feature. For individual customers: The customer's demand for the product may not be very clear, so as long as you tell us your country and region, and the distance between the device and the shielding you want to block, we can customize it to meet the needs of your country. Product solutions. For middlemen and distributors: You may be very clear about the demand for the products, but you usually purchase them in bulk, and the delivery time is planned, so if you are satisfied with the proof, you can give us direct Under OEM/ODM orders, we will complete your order production according to your quantity and time requirements. In addition, our company can provide you with long-term maintenance service. If you are interested in cooperation, please contact us. The other is the project provider: You may be a procurement plan for a specific project, but before that you may not know much about the industry, and hope to find a balance between quality and price in this industry. The factory has more than ten years of experience, I believe we can help you very well, and you are welcome to come to the factory to negotiate. Our company's R&D team is a technical team with active thinking and collaborative innovation. Our company's technical team consists of the new generation of technical backbones in the 1980s and 1990s. The thinking is innovative and innovative, and the management has strict research. The company has basic research, design applications and processes. Professional team in all aspects of manufacturing, testing and so on. With professional customized design and product manufacturing capabilities, we can fully meet the individual needs of customers, and make great purchases. Welcome to negotiate.